The numbers are in, and 2017 saw decade high assaults on U.S. Immigration and Customs Enforcements agents. Stats released by the government suggest that illegal immigrants living within the United States are increasingly turning to violence when confronted by ICE agents. Similarly, assaults on Border Patrol agents are also up in recent years. Keeping this in mind, ICE agents and officers reported 48 assaults in 2017, the highest on record since a similar quantity in 2010. Customs and Border Protection noted a steep incline over the last few years, up from 381 assaults in 2014 to 856 assaults in 2017. Illegal aliens within the United States, and those caught attempting to cross the border, are growing more comfortable with inflicting harm whenever they are approached for their neglect of United States immigration law. 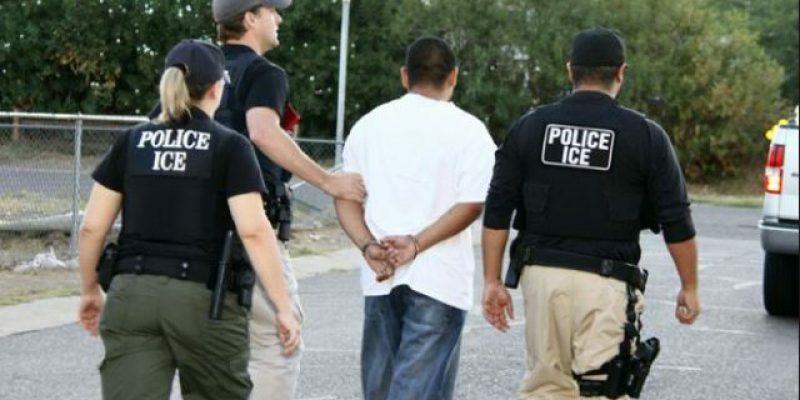 This comes in unison with a growing number of cities and states within the nation refusing to aid immigration agents and officers seeking to uphold the law of the land. Sanctuary cities and states continue to oppose the greater federal agena. There is thus a cultural phenomenon emerging with a multitude of symptoms likely to be expressed in various ways. One of which is feasibly the assault on ICE agents and Border Patrol. Illegal immigrants could potentially be influenced by the permeation of a zeitgeist that purports any obstruction to illegal immigration to be in opposition to morality and decency. If illegal immigrants were to introspectively view themselves as the vanguard of moral justice, it could then be rationalized that any encroachment on their being in the United States ought to be defended with the utmost vitriol and sense of self righteousness.